Pakistan – China – USA: Cooperation for the State of Stability? Pakistan’s role in South and Southeast Asia is undoubtedly a major factor affecting the situation there. When outside observers assess that role, they primarily look at the interaction between this Muslim nuclear country and both the United States and China. Along with the impact of Pakistani-American ties on the region, China’s growing economic and political significance in the world, particularly its relations with Pakistan, cannot be ignored. Many experts are inclined to believe that the ties between Pakistan and China have been special throughout the two countries’ history and are still important. To what extent is that true, and is it still relevant today? 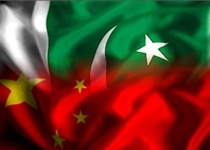 As the first Muslim country to recognize China’s independence in 1950, Pakistan undoubtedly became a Chinese ally and, to some extent, a vehicle for its interests in the region and on the international stage, especially since the Chinese government has repeatedly attempted to reinforce that friendship with military-economic “infusions” into its South Asian neighbor’s economy. Pakistan is connected to China by the Karakoram Highway. Pakistan also had close allied ties with Washington until recently. However, relations between Washington and Beijing currently are not very “warm.” They are becoming serious rivals with each day that passes, both in the world and in the region. According to one analyst, Pakistan until recently saw China as its “all-weather friend.” These sentiments were reinforced among Pakistan’s leaders after the temporary problems (2011-2012) with Pakistani-US relations (unauthorized flights of American drones over Pakistani territory, the killing of bin Laden by US special operations forces without proper coordination with their Pakistani counterparts, etc. ), which culminated in the suspension of $800 million in US military assistance. For some reason, however, their “all-weather” friend did not rush to Pakistan’s aid, though Beijing was interested in replacing the United States as the financial and political “guarantor” of the country’s security, thereby strengthening its position. I should point out that Pakistani-Chinese cooperation is not as “serene” as some international observers try to make it seem. it is well known that Pakistan has long supported Uighur terrorism and separatism in China, and that has greatly complicated bilateral relations. It can be said that Islamabad’s activities in the areas bordering on Afghanistan and the Uighur-Xinjiang Autonomous Region have not helped its relations with the two great powers (China and the United States). If we compare the relatively stable military cooperation between Pakistan and the United States to Pakistani-Chinese military ties, we have to recognize that the latter are in a very embryonic state. The first Pakistani-Chinese military talks took place only in 2002, and the first joint military exercises were held much later — in November 2011. The regional news media point out that Beijing sold Pakistan 50 JF-17 fighters in May 2011. The latest “cracks” in bilateral relations occurred relatively recently, during the celebrations marking the 60th anniversary of Pakistani-Chinese friendship. In 2012, for example, reports about rioting in Xinjiang began appearing in China at the same time that Pakistani intelligence (ISI) chief Shuja Pasha was flying to Beijing for the celebrations. News reports said that separatist elements in Xinjiang had attacked a police station and committed a number of illegal acts. These provocations were carried out by members of the East Turkmenistan Islamic movement who had entered Xinjiang after receiving training in Pakistan. Beijing is concerned about actions by the Uighur separatists and links the instability in Western China to Pakistani support for some insurgent groups. If the Islamabad government cannot restore order and take control of Pakistan’s lightly regulated tribal region, it risks losing the “patronage” of both the United States and China. Shall we now talk about the peculiar US-Pakistan-China triangle that is affecting the situation in the region? Pakistan is currently attempting to take advantage of its relations with China to demonstrate that it needs a neighbor’s loyalty rather than assistance from Washington, but that is not true. It is more likely to be wishful thinking. The facts, at least right now, suggest that the United States has done things for Pakistan that China cannot and does not want to: provide the Muslim country with substantial financial aid and a great many modern weapons. So until things change, we cannot say that the one ally (China) will replace the other (the United States). This suggests that no matter who wins Pakistan’s elections in May, the country’s leaders will continue their balancing act between the two great powers. Both the United States and China will pursue their own global interests and continue playing the regional card by using Pakistan for leverage on each other and on India — another major political player, and one whose influence extends far beyond South and West Asia. What would Russia’s best position be under these circumstances? I would be happy to be wrong, but I have to say that it has only a small role to play at present because it has not yet shown that it wants to influence any of the parties to protect its foreign policy interests in the region. However, the region is certainly very important for maintaining stability on Russia’s southern borders.